Storytelling is a compelling way to build interest, get to know prospects, build trust and create connections. Paul Smith is THE utlimate storytelling coach. He's a best selling author of three books on this topic. Learn this tool to put everyone at ease, give you more enjoyment from prospecting and building relationships and make you more memorable. 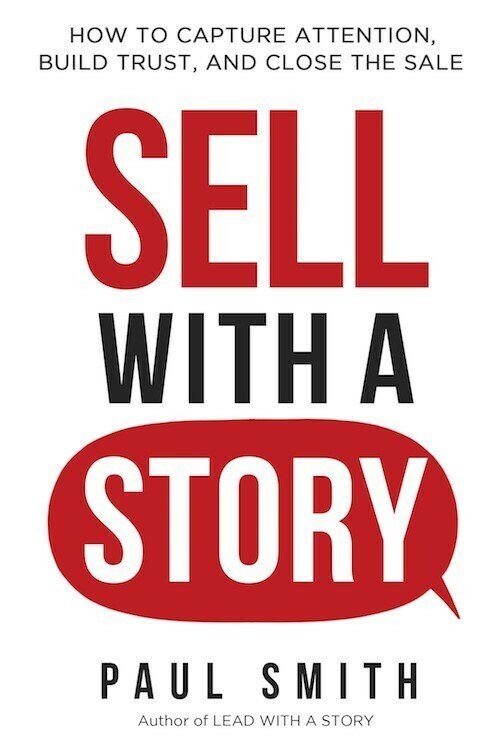 What exactly is a sales story? How is it different from a sales pitch and can you give us an example? Why do you think stories are so effective? What separates a great sales story from a simply good or average or boring one? 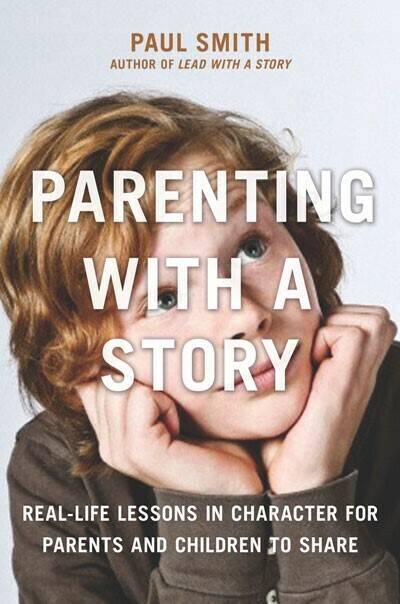 Would you share tips on how to choose the right story to tell, and how to determine the right time to tell it? You suggest in the book that great stories -- even great sales stories -- have a surprise ending. Why is that necessary? And how do you create a surprise ending in a story that isn’t surprising? How long should a sales story be? One of the questions you asked professional buyers when you interviewed them was, “What is it that makes a sales pitch sound like a sales pitch?” How did they answer that question? And how can you avoid sounding like that? What are some of the most common mistakes you see in storytelling? Is it okay to make up a sales story? Or does everything in a story need to be 100% true? 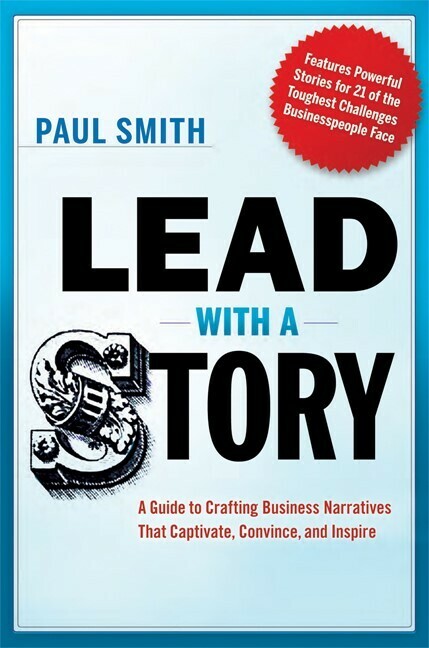 Paul Smith is one of the world’s leading experts on organizational storytelling. He’s a keynote speaker, storytelling coach, and author of the books Sell with a Story, Parenting with a Story, and the bestseller Lead with a Story already in its 8th printing and available in 6 language around the world. Paul is also a former consultant at Accenture and former executive and 20-year veteran of The Procter & Gamble Company. 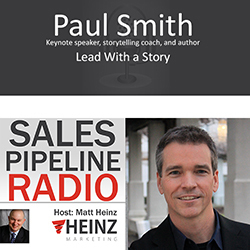 As part of his research on the effectiveness of storytelling, Paul has personally interviewed over 250 CEOs, executives, leaders, and salespeople in 25 countries, documenting over 2,000 individual stories. Leveraging those stories and interviews, Paul identified the components of effective storytelling, and developed templates and tools to apply them in practice. His work has been featured in The Wall Street Journal, Inc. Magazine, Time, Forbes, The Washington Post, PR News, and Success Magazine, among others. Paul delivers professional workshops and keynote addresses on effective storytelling for leaders and salespeople. His clients include international giants like Hewlett Packard, Ford Motor Company, Bayer Medical, Abbott, Novartis, Progressive Insurance, Kaiser Permanente, and Procter & Gamble.